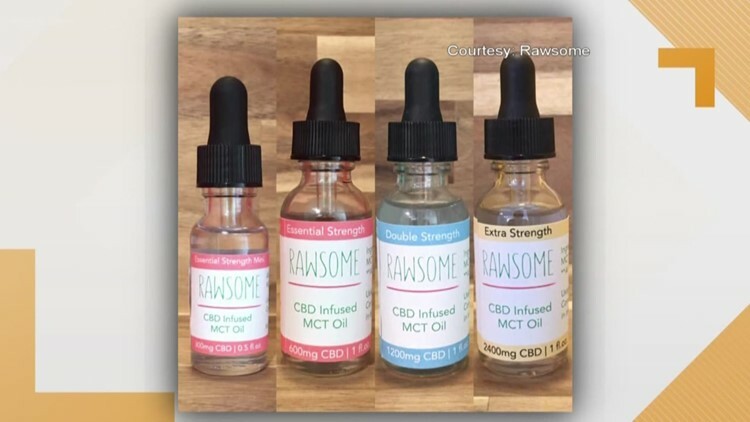 'CBD' oils are becoming more popular across the United States, but despite the growth in popularity, most Texans don't know what 'CBD' means when they hear the abbreviation. TEXAS, USA — According to the website Mashable, 65% of Texans do not know what the abbreviation 'CBD' means. In an article by Mashable, they stated 'CBD' stands for cannabidoiol. Texas is behind the curve from the rest of the United States over knowledge about cannabidiol, a non-psychoactive compound found in cannabis. For the rest of the United States only 61% of people were unaware of what 'CBD' meant. While it is formed from cannabis, it will not get you high, but users state is a way to relax, get better sleep and manage anxiety, according to the article by Mashable. The article went on to state that CBD is legal and the World Health Organization said there is no evidence of public health-related problems associated with the use of pure CBD. Most online retailers have a selection of CBD-infused oils, tinctures, capsules, vape juices, drinkable syrups, topical creams and gummies. Mashable stated 11% of Texans have tried CBD-infused products, compared to 19% of Americans. According to Mashable, 44% of Texans who use CBD-infused products consume once to twice a month and 40% consume at least once a day. For more on Mashable's findings about CBD, click here.